Cobh is a small town easily reached by commuter train from Cork by the waters in Cork Harbour. Having been to Kinsale the day before, this was a little of bit of the same, but Cobh is twice the size and busier with tourists. 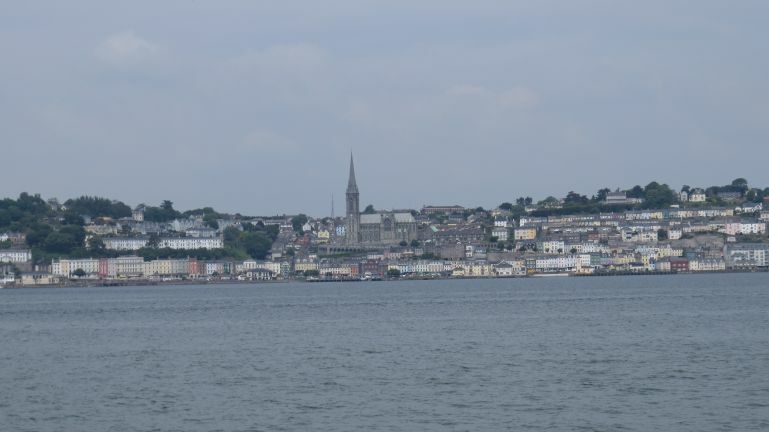 One of the draws in Cobh is Spike Island, and this where I'm heading now, enjoying the views of Cobh from boat.